The request from Defence Ministry comes as a controversy has started to brew over Supreme Court's statement that the PAC has examined the CAG report on Rafale deal's pricing details. The government has moved the Supreme Court seeking correction in a paragraph of its judgement in the Rafale deal case which refers to a Comptroller and Auditor General (CAG) report regarding the pricing details of the deal being examined by the Parliament's Public Account Committee (PAC). The request from Defence Ministry comes as a controversy has started to brew over Supreme Court's statement that the PAC has examined the CAG report on Rafale deal's pricing details. 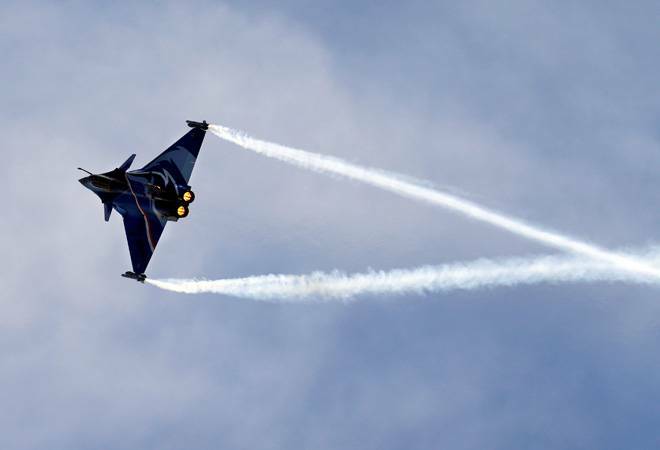 In paragraph 25 of its verdict, the apex court said that the CAG has examined the pricing details of the Rafale deal, and its findings were then tabled before and have been examined by the PAC. This comment by the Supreme Court came from misinterpretation of a note submitted to the top court, the Defence Ministry said in its application for correction. One of the points on the note in question had said: "The Government has already shared the pricing details with the CAG. The report of the CAG is examined by the PAC. Only a redacted version of the report is placed before the Parliament and in public domain." The Defence Ministry had submitted the note along with the pricing details of Rafale deal to the Supreme Court in two sealed covers in compliance with an order by the court. The Supreme Court statement in reference to the CAG report suggests that it has already been examined by the PAC. In the application, however, the government has said that while the pricing details of the fighter jet deal have been shared with the CAG, the CAG report is yet to be presented to the PAC for examination. "The submission by the Union of India, to the effect that the report of the CAG 'is' examined by the PAC, was a description of the procedure which is followed in the normal course, in regard to the reports of the CAG. The very fact that the present tense 'is' is used would mean that the reference is to the procedure which will be followed as and when the CAG report is ready," the government said in the application to the Supreme Court. The application also sought correction in Supreme Court's statement that a redacted version of the report has already been tabled before the Parliament. The government tried to clarify that only a bridged version of the CAG report will be presented before the Parliament and in public domain, as and when it comes. Congress had cried foul after Supreme Court referred to a CAG report being examined by the PAC in its enquiry of the Rafale deal while dismissing all petitions challenging the propriety of the deal. Senior Congress leader and PAC chairman Mallikarjun Kharge had accused the government of "misleading" the Supreme Court by presenting wrong facts about the CAG report on the Rafale deal.